Long an advocate for quality musical arts in the community, Emily Edgington Andrews is extremely active in Columbia, working with children and adults at every level of their musical development. In 2013 Emily was appointed Artistic Director for the Columbia Chorale, and under her baton has helped to expand the organization, now entering its 38th season, to include more than 350 singers, ten staff members, and eleven choral ensembles. Under the new umbrella title Choral Arts Alliance of Missouri, the organization includes Columbia Youth Choirs, an all-inclusive community youth choir program serving children in grades 2-12 in seven ensembles; Columbia Chorale, the non-auditioned community ensemble; Columbia Chamber Choir, an auditioned community chamber ensemble; Columbia Community Gospel Choir; and Prometheus, the permanent professional Artists-in-Residence. Emily serves as the Assistant Conductor for Prometheus: An American Vocal Consort, managing the ensemble and assisting in conducting the highly sought-after twelve-member professional ensemble. Emily joined the music faculty at the University of Missouri in 2015 teaching and conducting in the Choral Department. This year her role has expanded to also include the Director of Community Music Outreach, where she serves as a community liaison for the MU School of Music. 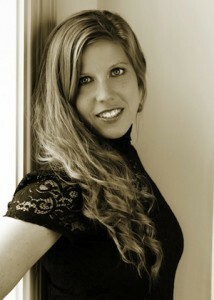 She also teaches and conducts at Stephens College as a Visiting Guest Artist in their Performing Arts program. In addition to her work at the collegiate level, Emily enters her eighth year as one of the vocal music teachers at Columbia Independent School, the city’s only non-sectarian college preparatory campus, conducting two of the six ensembles for students in grades 4-12. This upcoming year marks Emily’s eleventh year as conductor at the historic Sacred Heart Catholic Church in Columbia, MO, where she maintains a thriving music program, conducting the 45-member Adult Choir of volunteer and paid musicians. Emily regularly serves as a guest clinician and adjudicator, and is the former Northeast Missouri High School Choral Vice-President. She is an active member of the American Choral Directors Association and the Missouri Music Educators Association. Emily received her degrees in Music at Truman State University, Kirksville, Missouri (B.A. ; M.A.) and at the University of Missouri (M.M.). Emily is blessed with two beautiful children and an incredibly supportive husband. Ryan Layton, bass-baritone, is a junior at the University of Missouri where he is pursuing a Bachelor of Music in vocal music education. At Mizzou, he has performed with the Concert Chorale, Hitt Street Harmony, and the University Singers under the baton of Dr. R. Paul Crabb. As a pianist, Ryan accompanies the Choristers of Columbia Youth Choirs in addition to collaborating with several MU voice students. 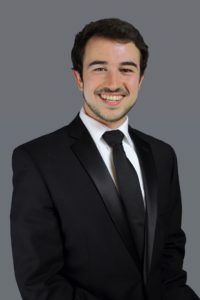 He serves as Vice President of the Zeta Chapter of Phi Mu Alpha Sinfonia and is a member of the American Choral Directors Association and National Association for Music Education–Collegiate. Ryan studies voice with Dr. Steven B. Jepson. Anthony Hernandez (b. 1987) is a pianist and organist who earned his Bachelor of Music in Music Composition from the University of Missouri-Columbia. In 2008, Hernandez was awarded first place in the MMTA Collegiate Piano Upper Division and has performed throughout Missouri and in Brazil. He has worked as music director, accompanist and/or assistant music director for several musical theatre productions, including Jesus Christ Superstar, A Man of No Importance, Forever Plaid and The Wizard of Oz. In the summers of 2014-15, Hernandez was rehearsal pianist and pit keyboardist at the Lyceum Theatre in Arrow Rock, MO. He has provided music for summer extensive dance classes at the Columbia Performing Arts Center. 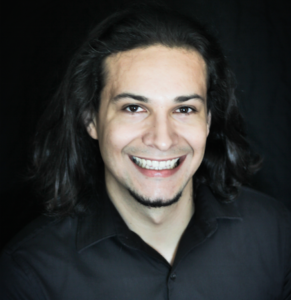 Hernandez is an accompanist for the Columbia Chorale, Columbia Chamber Chorus, and regular staff accompanist at Stephens College and Columbia College. He currently serves as pianist and organist at First Church of Christ, Scientist and occasionally for Missouri United Methodist Church’s early service. Hernandez also maintains a full piano studio, teaching students of all ages. Visit hernandezplayspiano.com for more info! Colin Knoth was born and raised in Springfield, Missouri, where he attended Kickapoo High School and Evangel University. While at Evangel, he was an active member of the University Chorale, Chorus, and Concert Choir and served as president of the latter for two years. Colin played multiple roles in the Evangel music department’s opera and musical theater programs, as well as several roles in the community. He also sang with the Springfield Mid-America Singers for one year. 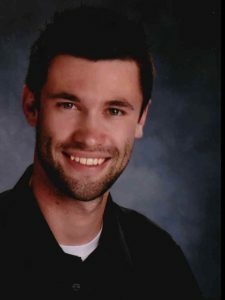 Colin has had experience teaching students of all ages, from Kindergarten to the collegiate level. For two years he was an assistant conductor for the Boys Choir of Springfield—a community boys chorus for unchanged voices, grades 2-6. After graduating from Evangel in 2013 with a degree in Vocal Music Education, he moved to Columbia to pursue a Master’s degree in Choral Conducting at the University of Missouri under the direction of Dr. Paul Crabb. He sang with the University Singers and co-directed the Mizzou Concert Chorale for the duration of his Master’s program. After graduating in May of 2016, Colin obtained his first teaching position at Columbia Independent School, directing four choirs in grades 6-12. In addition to CIS, Colin serves as the assistant conductor at Sacred Heart Catholic Church in Columbia. This singer, musician, preacher, author, and much more is a native of Kansas City, MO. His parents established him on a foundation rich in the love of God and gospel music. 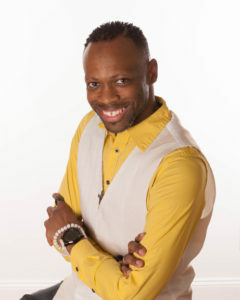 Continuing in his musical heritage, LaMont has learned multiple instruments and perfected his gift of music. He has been blessed to share the stage with artists such as the Kansas City Boys Choir, the Harlem Boys Choir, Richard Smallwood, Dorinda Clark-Cole, and many others! LaMont is a graduate of the Southeast High School (1999) and the University of Missouri-Columbia (B.A. in Music Performance 2005). He celebrates many accomplishments. In 2016, LaMont and Voices of Power and Glory released their first singles “Love Lifted Me” and “He Did It Again,” which were written by LaMont and are available for purchase at all digital stores. Other accomplishments include 1st place victory at the national BSU retreat choir competition, four years directing the LBC gospel choir (MU), founding His Word His Way ministry, and releasing his first book, Internal Pieces. In 1999, LaMont connected to the ministry of Bishop Dr. R.L. Freeman, where he remains submitted and covered. Under Bishop Freeman’s tutelage, LaMont received his ministry license in 2004, ordination as Elder in 2005, and elevation to the position of General Overseer in 2009. He serves as overseer of music and performing arts for his church, United Community Cathedral, and the fellowship, Christians Equipping Christians for Outreach (Presiding Prelate-Bishop Dr. R.L. Freeman and Metropolitan-Bishop Larry D. Trotter). On October 5, 2014, Bishop Freeman appointed LaMont to serve as assistant pastor of United Community Cathedral. On August 29, 2015, LaMont was installed as assistant pastor of UCC. He also volunteers as a mentor for United Community Builders CDC program Weekend With The Boys. Pastor Walker has traveled across America spreading the good news of the Gospel through anointed music, preaching, and teaching. He continues to do so under the leading of the Holy Ghost, praying that all would have a God-experience as a result of his dedication to the Kingdom, serving in the Levitical Order.